Please note that Mandarin Stars does not accept responsibility for participants’ non attendance of classes due to illness, changes in personal circumstances or other commitments during the term. While we will try our best to accommodate make up classes if your child has been sick, credit will not be issued for classes not attended. Please make your enrolment decisions carefully. If an individual class is cancelled due to instructor illness, emergency situations or a venue problem, we will encourage participants to take a make-up class. If this is not suitable for the participant, a credit or refund for that session will be offered. Make up classes MAY only be available to participants if they have been sick, however we cannot guarantee make up classes in this instance. Make up classes do not carry over to the next term. We cannot guarantee there will be availability in all classes for a make up class. No credits are available for missed classes. 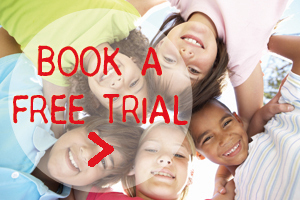 We only take bookings for an entire term and our fees are structured this way. Unfortunately we cannot take casual bookings or pro-rata weeks you may be away. Please refer to our make up class policy for missed classes. All fees must be paid for prior to commencing classes. For parents who are re- enrolling their child for the next term, fees must be paid by the start of term as per the date on your invoice. If fees are not paid then we cannot guarantee your child’s place for the next term. If you have difficulty paying the fees please discuss this with the Mandarin Stars administration as payment plans can be arranged in special circumstances. 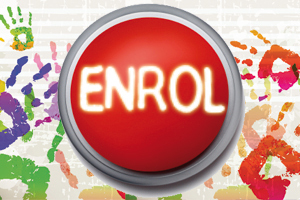 Mandarin Stars reserves the right to cancel/recommend deferring an enrolment at anytime. In this case, a refund for any remaining classes that have already been prepaid will be provided. Please respect that Mandarin Stars is strictly a nut-free zone. Please remember to bring a water bottle to each class. If your child is sick, please do not bring him/her to classes as you not only risk infecting other children, but also our staff, parents and carers. Only one adult should accompany each enrolled child. The role of the parent is to observe, support and praise one’s child as he/she is being engaged in the program. In order to ensure that the children are not distracted and overwhelmed by the level of sibling/ adult noise in the classroom, all parents should be sensitive to their own personal noise level and turn mobile phones to silent. Please remember to bring a quality piece of fruit to be shared with others as requested by your teacher. A child can only be released into the care of either a parent, a guardian, or a responsible person (when approved by the parent in writing). This will only include persons nominated as Emergency Contacts, persons nominated as Authorised to Collect on the enrolment, or persons nominated to collect the child on specific occasions. An initial charge of $30 per child, together with a penalty fee at the rate of $1/min per child, for the first ten minutes. This penalty rate will increase to $3/min per child after the first ten minutes.